11 visits logged here. Have you been? Click here to log a visit. 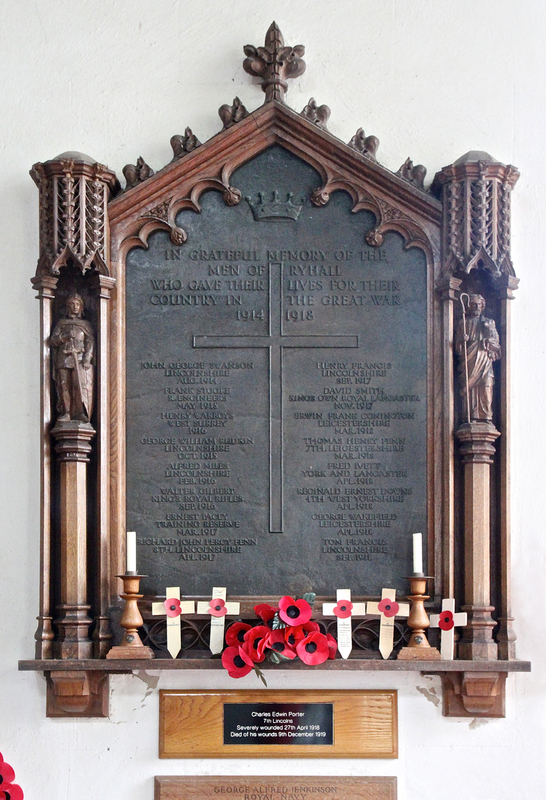 There are 16 names on Ryhall's war memorial but it is not a complete record of the village's sacrifice. 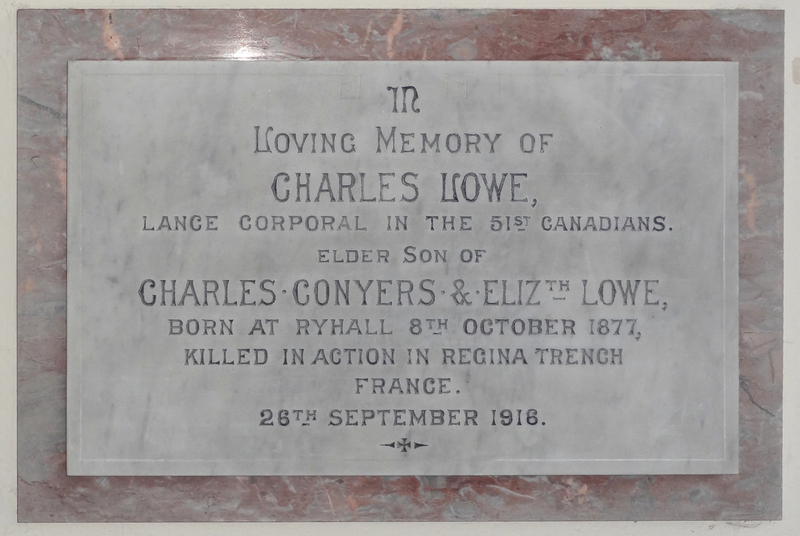 Charles Lowe was born in Ryhall and emigrated to Canada where he joined the Canadian forces. He came over to Europe and was killed during the Battle of the Somme and is remembered on the Vimy Memorial. A family tablet to his memory hangs in the church. 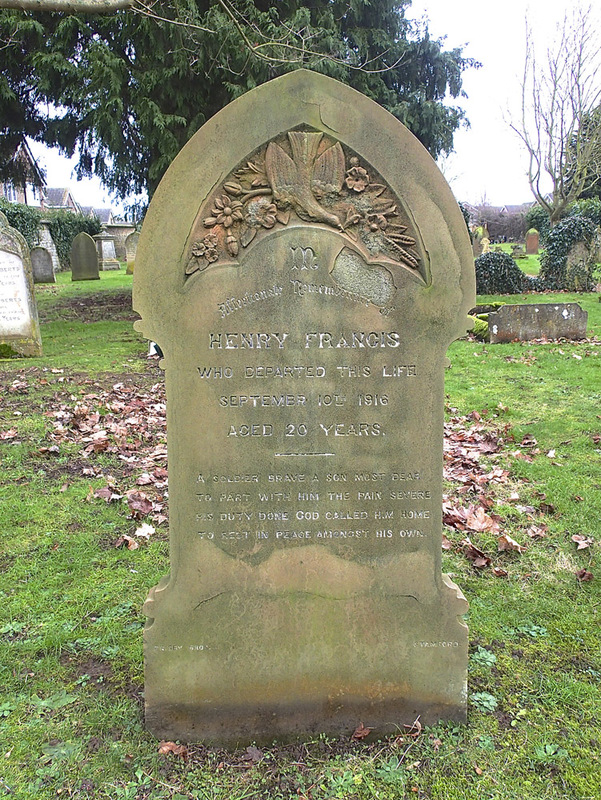 There are four First World War graves in the churchyard. Two of them are on the war memorial, two are not. 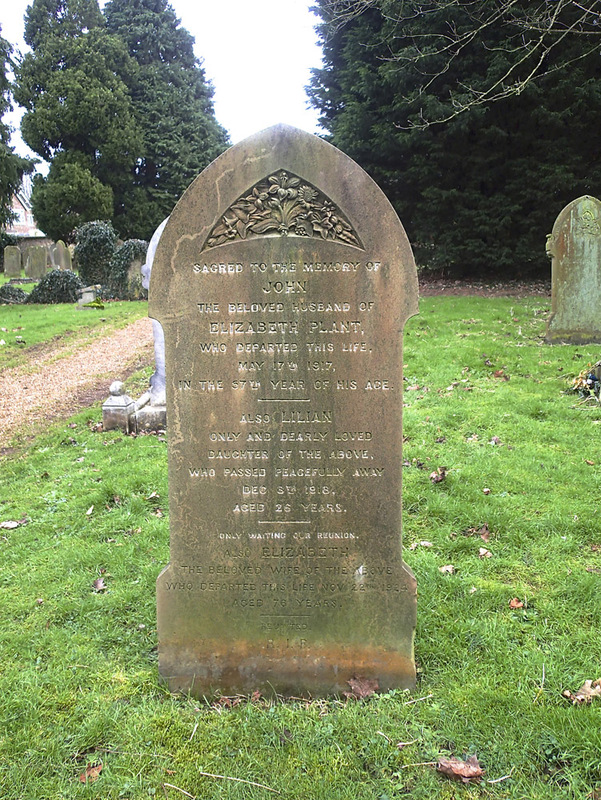 They are Lilian Plant (spelt Lillian by the CWGC) who was a member of the Women's Royal Air Force and Charles Porter who died more than a year after the war ended. 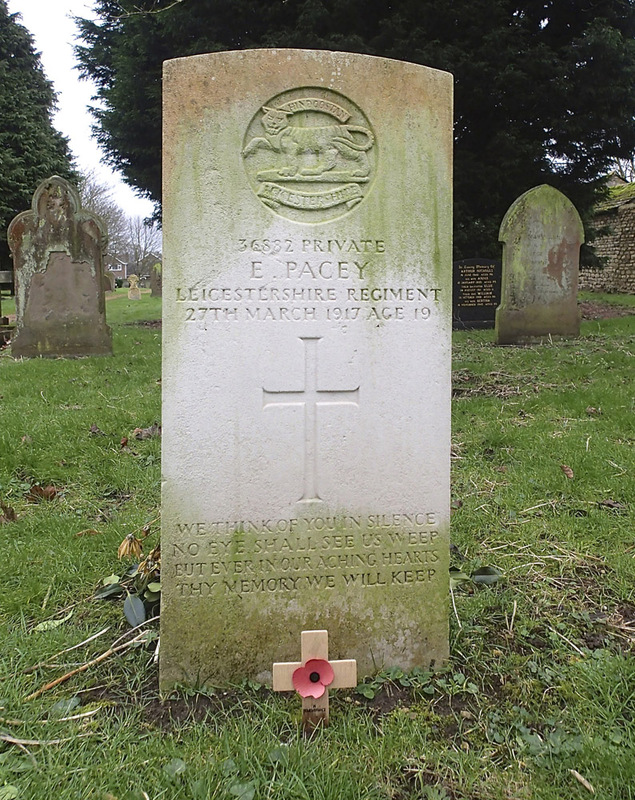 The two whose names are on the war memorial are Ernest Pacey and Henry Francis. 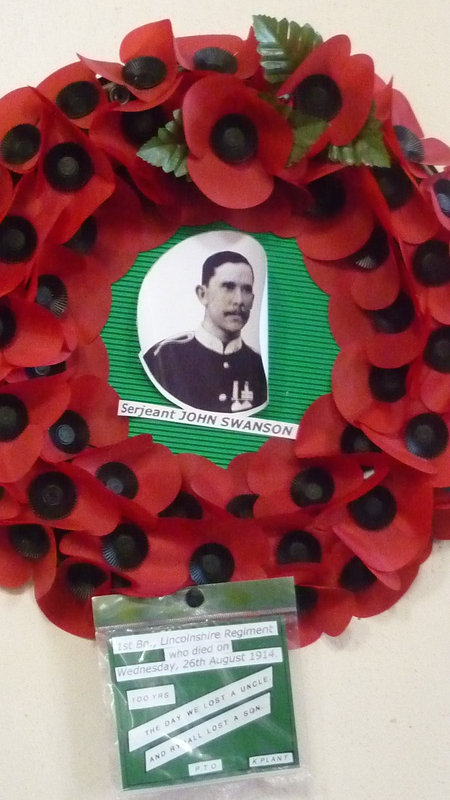 Included in the photos below is a wreath laid by Ken Plant, the nephew of John Swanson, one of the first men from Rutland to die in the First World War. 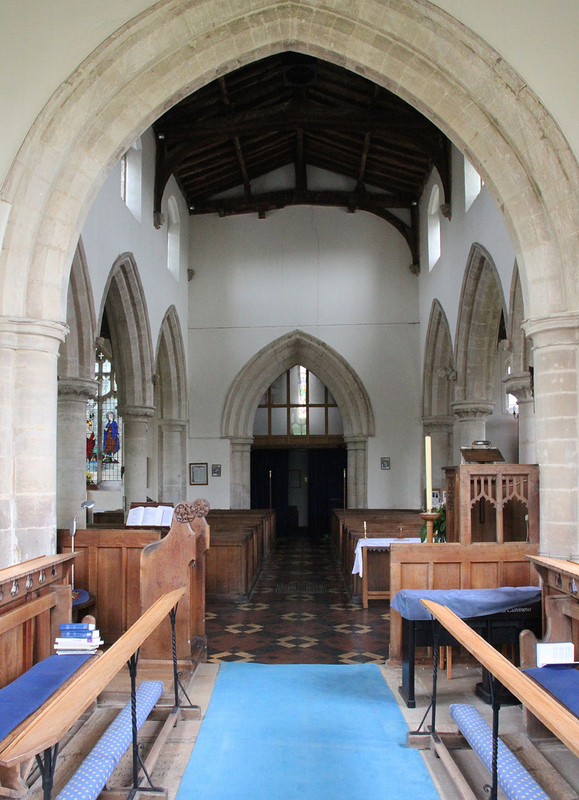 It was placed in the church on the exact hour of the day one hundred years after he died. 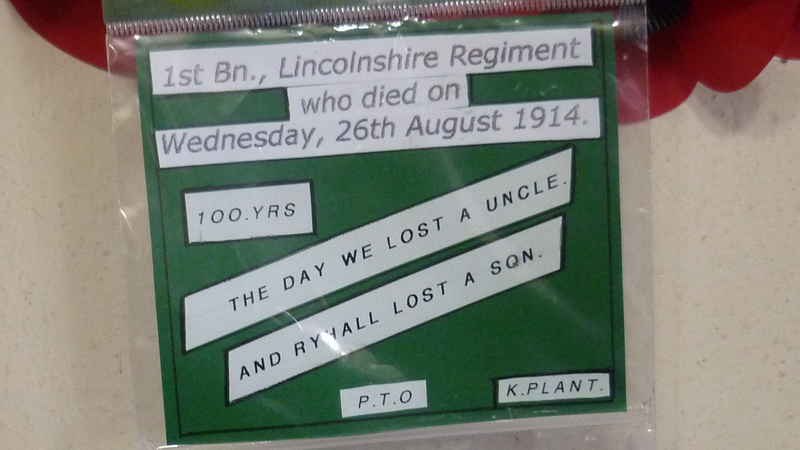 It bears the inscription "The day we lost an uncle and Ryhall lost a son". 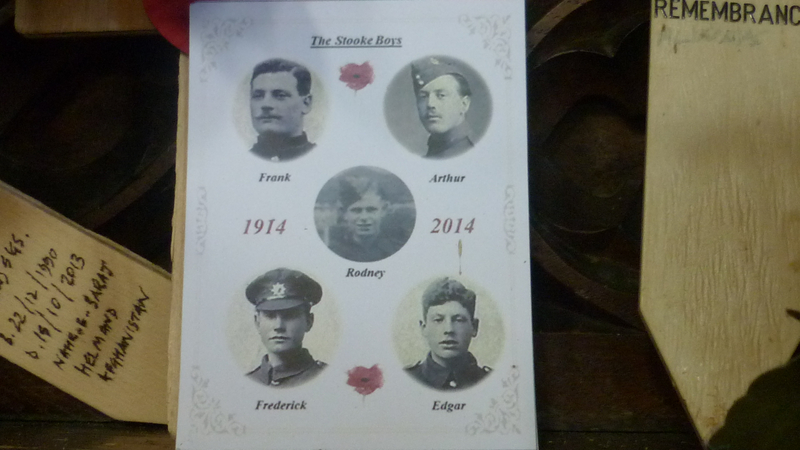 There is also a photo of five Stooke men, left by the granddaughter of Frank Stooke who is remembered on the war memorial. 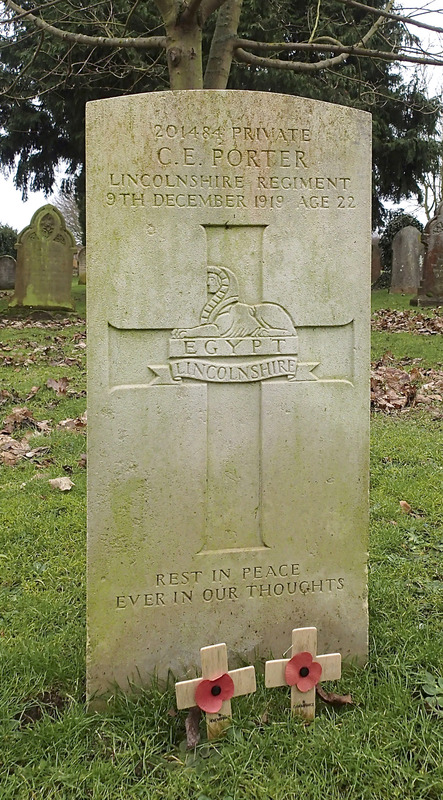 Four of them died in the First World War, the fifth in the Second World War. 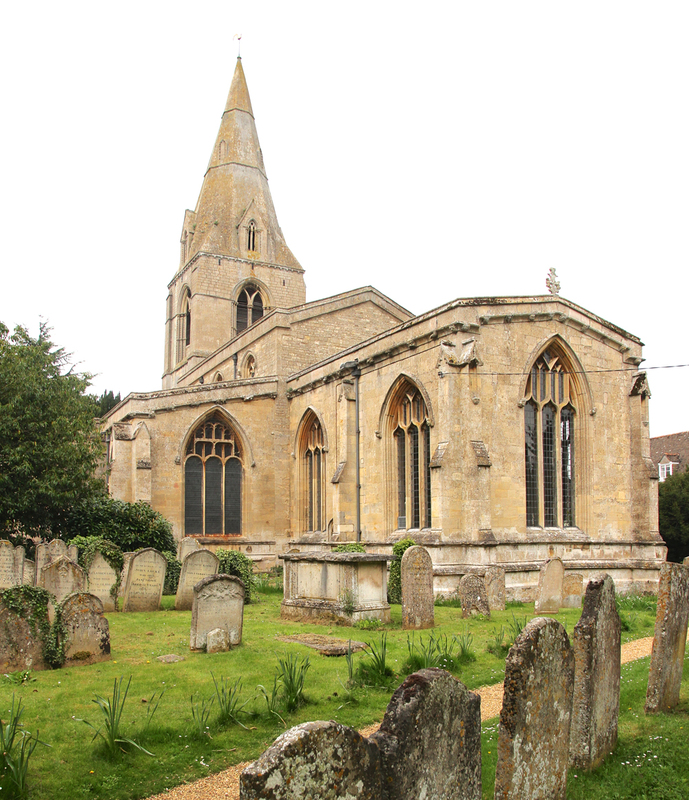 Do you know something about Ryhall War Memorial and Churchyard (St John the Evangelist Church) that hasn't been mentioned? 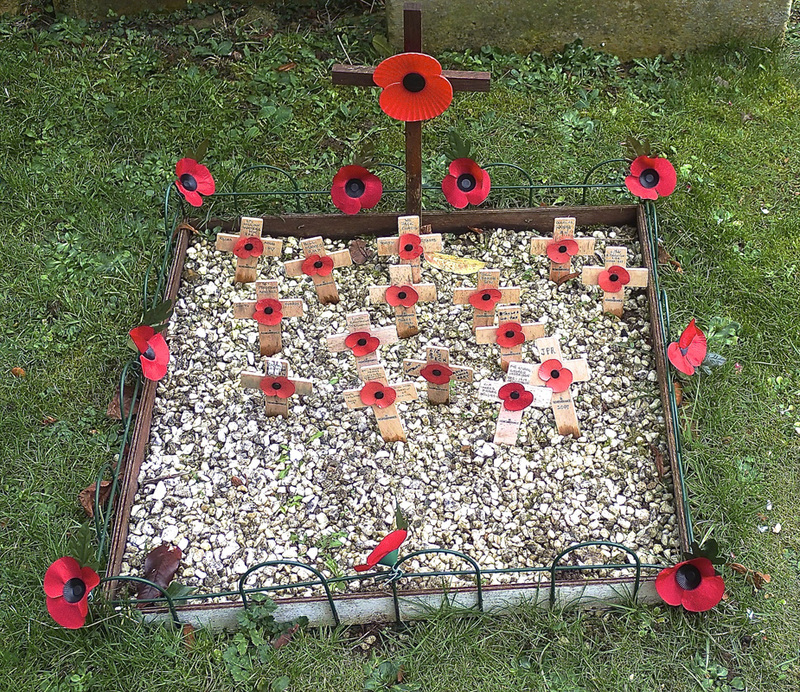 On November 11th each year I always placed crosses on the two WGC graves in Ryhall churchyard. 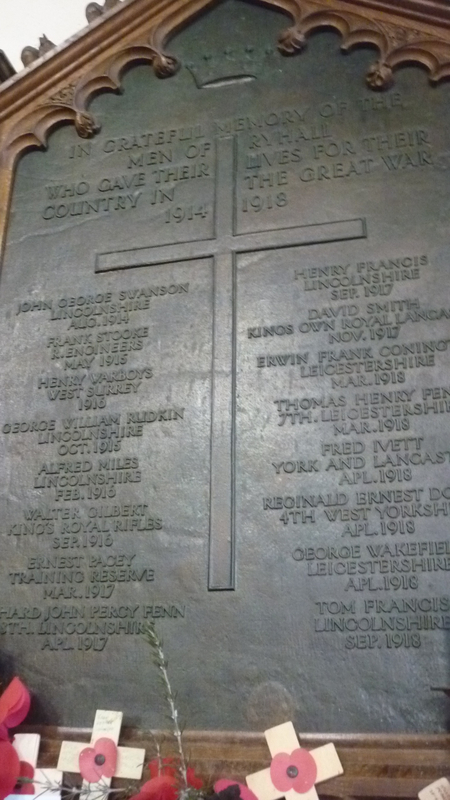 With the information received from Rutland Remembers, last year I laid another three, on the family gravestones and Charles' memorial inside the church. That tradition will continue.In my official capacity as Stamford's Town Crier, I followed the Mayor on the centenary 'Lights Out' service at Stamford War Memorial on August 4th and, with head bowed, said a silent prayer in memory of 'the Rutland Five'. On Sunday 11th November 2018 at 11:00, the 100th Anniversary of the Armistice, and still in my capacity as Stamford's Town Crier, I once again followed the (deputy) mayor and laid a wreath at Stamford War Memorial and, with head bowed, said a silent prayer in memory of "The Ryhall Five" (Charles Porter, Lilian Plant, Ernest Pacey & Henry Francis, all buried in Ryhall's churchyard; and Charles Lowe, remembered only on the Vimy Memorial and a family tablet inside St. Johns). I also silently remembered them at 19:00 in the global "Battle's Over" ceremony, when the Stamford Beacon was lit and Town Criers across the world simultaneously declared a Cry for World Peace.